Removing humans from the "driving equation" would save lives and dramatically reduce the costs associated with car accidents, Swinburne's self-driving car expert Dr Hussein Dia says. In a presentation to a seminar on the future of travel, Dr Dia said human error was to blame for up to 90 per cent of the 1.2 million deaths that occur each year from car accidents around the world. "A large proportion (of car accidents) could be avoided by using self-driving vehicles and there is compelling logic in removing humans – the key source of the error – from the driving equation," he said. "Driven by artificial intelligence, these vehicles will not make errors of judgement the way a human driver does. "They will not drink and drive. They will not fall asleep behind the wheel. They will not get distracted by playing Pokemon Go." Dr Dia, who is chair of Swinburne's Department of Civil and Construction Engineering, said self-driving cars could potentially dramatically reduce insurance premiums, if liability was shifted from the driver to the vehicle manufacturer. "Under this scenario, insurers might move away from covering private consumers from risk tied to "human error" to covering manufacturers and mobility providers against technical failure," he told the seminar. While the road to full vehicle automation was still long, Dr Dia said some vehicle manufacturers, such as Tesla, were already rolling cars off the production line that were fully equipped with the hardware needed for the car to, one day, drive itself. He said this hardware includes eight cameras, one radar, 12 ultrasound sensors, a "liquid-cooled supercomputer the size of a lunchbox" and an on-board computer that can perform more than 24 trillion operations per second. But while the hardware might be in place, Dr Dia warned that the software needed for a fully automated self-driving car was a long way off from being fully developed. "Unlike the hardware, (the software) is not something that can be found off the shelf," he told the seminar. "(The software) is calibrated by showing an artificial neural network examples of hundreds of thousands or even millions of videos and images from real-life conditions so that it can recognise and respond to different situations. "It is like holding a child's hand when crossing the road and teaching them what to do through constant experiences and replication." He said the challenge for software companies was not in developing software that could detect objects, but in developing software that could have an understanding of objects. "For example, if a human is driving down a suburban street and sees a soccer ball rolling out in front of the car, the driver would probably slow down since a child might be close behind," he said. "Even with advanced artificial intelligences, would a self-driving car know how to react?" How will self-driving cars affect your insurance? Driver's licenses for self-driving cars? More people to populate the earth! Population control is no problem as China showed us vary convincingly with a true population reduction, not just a theoretical one. I laugh at those who say self driving cars are too dangerous. Really what is more dangerous than a computer behind the wheel? Oh right... WE ARE BY QUANTUM LEAPS!!!!! The bad habits of human kind infect our driving space! Alas a self driving car doesn't have to be perfect. No it merely needs to be better than us! Easily done soon enough given our bad habits. If you reduced MVA's by 90% insurance would be so little it could be paid for the entire life of the vehicle up front. Then I'm sure the manufacturers would "sneak" the cost into the vehicle regardless. But hey you would be free of paying motorist insurance. 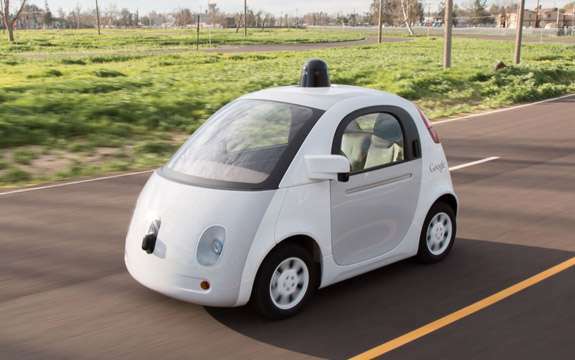 Still, the concept of driverless cars is beyond the practicality in developing nations. There are various reasons for it, such as unorganized transportation and traffic system. In such case the passenger vehicles still dominate machine learning driverless cars. An easy first step would be car to car communications where vehicles ahead warn the vehicles behind of stoppages. Also self driving cars should be allowed to travel at higher speeds than cars driven by humans on major limited access highways. This will hasten the adoption of driverless cars and reduce congestions because more cars per hour will be able to be accommodated. Also cars entering the highway will blend much more smoothly into traffic. Gas milage should also benefit because of reduced braking. Perhaps as each road is repaved a simple magnetic strip could be embedded or perhaps magnetic lines could be painted to enhance guidance. Both seem like a low cost solution to road sensing problems.